The study plans have lists of materials & equipment etc & these will be useful in costing out the complete boat. Each STUDY PLAN contains ALL the construction drawings for each material - STEEL, ALUMINUM, FIBERGLASS & WOOD EPOXY as applicable to the particular boat plan - with up to 25 sheets per plan! Lists of materials - Technical information - Numerous construction drawings are all included. You can view & print the drawings in full or in sections. BUILDING PHOTOS are included in the study plan package. PLUS you receive a FREE (value 79.95) 1400 PAGE e-book BUILD YOUR OWN BOAT. SPECIAL INTRODUCTORY OFFER: PLANS & CUTTING FILES ... Delivered by DOWNLOAD to your computer within 12 hours of you placing your order. The plans have all the information you need to build your own boat.. Each plan contains all the construction drawings & CUTTING FILES for ALUMINUM construction, plus bonus drawings covering electrical, plumbing and engineering, everything you need to build your boat. Cutting files & plans or Plans and full size patterns for Fiberglass construction. 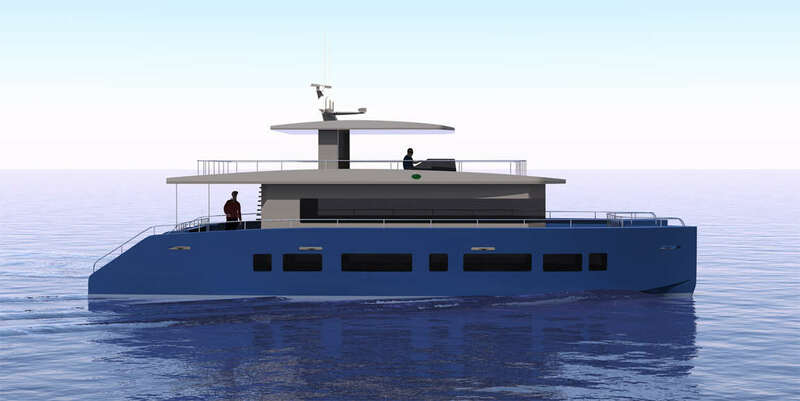 This Catamaran can be configured for different layouts to suit family or charter use or as a general purpose working vessel. Please EMAIL BRUCE outlining your requirements. 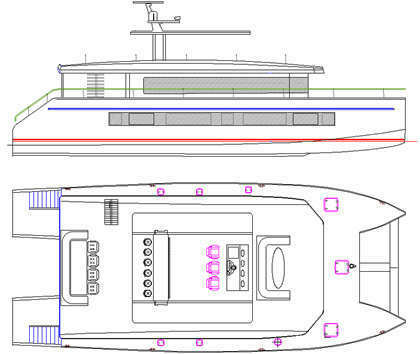 This new 24 m aluminum or fiberglass Power Cat design will soon be available as cutting files and plans. Custom alternative layouts available. 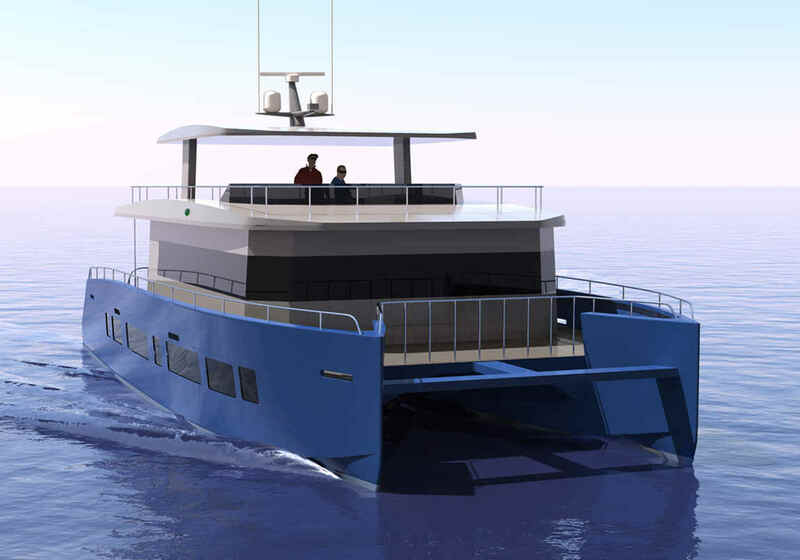 This design could be configured as small ferry etc.